Guides and serious backcountry skiers demand the most out of avalanche rescue gear. 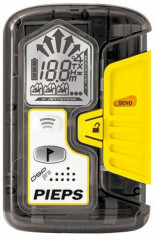 The Pieps DSP Pro is an example of a product that sets high standards for safety and is one of the first recommended by these power users. A large search radius, ample battery life, and multiple layers of redundancy are a few of the reasons why the DSP Pro is in the pouches of many avalanche experts. The transceiver even has bonus features such as a built-in clinometer to help with basic assessments. Pieps is always at the forefront of avalanche safety technology and the DSP Pro is the company’s signature beacon. Standard 60m search radius and lateral search strip. Wide range of operating temperatures, from -4°F to 105°F. Neoprene pouch with Pieps’ Quick-Pull-System allows fast access when the clock is ticking. Built in inclinometer is also a quick ego-check. Indicator notifies you of any deviation from the standard 457kHz. SCAN Function displays a quick overview of all buried devices within the search strip. Intuitive iProbe Support is easy-to-use in a multiple burial scenario. Auto-Antenna-Switch will automatically default to the antenna with the strongest signal. Display is easily readable, no matter the conditions. Auto Revert Search-to-Send will automatically switch your beacon back to search mode in the event of inactivity in case of a secondary slide. 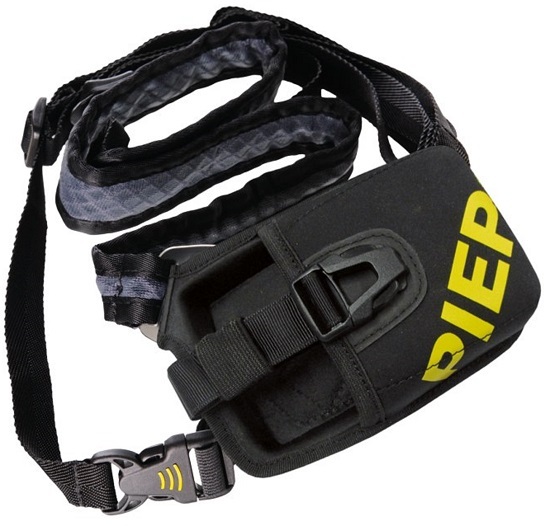 Comfortable and secure harness included (+102g). Battery Life 400 hours in send mode. Bottom Line Easy to use pro-level beacon. I've had a unit since the new design first came out in Fall of 2013. At first I thought it was just a new housing of the original "Old Yellow" DSP model, but instead Pieps really put a lot into new tweaks and improvements behind the scenes. My favorite improvement upon "Old Yellow" was the flagging feature: Pieps was the first to introduce any sort of signal suppression into a beacon, yet even with firmware updates over the years, "Old Yellow" never flagged reliable for me compared to the competition. But the new DSP Pro has been flawless for me in this regard. Compared to its slightly less-expensive DSP Sport sibling, the most important feature is the frequency tester on the Pro. Unlike frequency testers on other models that just report a Pass/Fail essentially, the Pro reports the actual frequency, which is helpful for checking drift on large fleets of loaner/rental beacons, as well as just informing a partner that a beacon might be kind of on the edge. For skimo-specific concerns, if you plan to use the beacon without its harness, the length and width dimensions are reasonable, and the corners are nicely rounded. However, the three-position switch does add noticeably to the depth if you were to use it inside a race suit poach. Not a deal breaker, but would be more noticeable than some other models.